Ever buy something online only to discover that the image wasn’t showing all the important details about the product? Videos like this 360° experience inside our feature-packed TATA Bolt aim to eradicate that sinking feeling of buyer’s remorse, by offering convenient transparency. Click and slide your mouse to move around the car. Use your mouse’s scroll function to zoom in and out, and click the blue circles in the video to find out more about the Bolt’s great features. Pretty cool, huh? Okay, enough about us… let’s look at some other cool ways to use this technology. Video may have killed the radio star, but most of us are okay with that, especially with bands like Muse releasing 360° visual sensations like this to accompany their tunes. You certainly would have paid a lot more attention in school if you could have climbed inside the French revolution, the inner workings of a human body or the biggest machine science can offer. This is essentially what BBC’s new technology programme, Click, will allow – interactive documentaries to keep you enthralled and teach you a thing or two at the same time. Who shot JFK? Was Neil Armstrong’s moon landing a hoax? Imagine which long-lingering questions about some of the most significant events in our history could have been answered if a 360° cameras had been around at those precise moments. News events shot with 360° cameras in the future could allow us to view and asses the bigger picture from various perspectives after the fact. That’s what a few news sources are now trying to do, like Bild, with this footage from a Greek refugee camp. Always wanted to see the world, but don’t have money for an air ticket? No problem! Websites like 360 Cities are using 360° video technology to let you see the most extraordinary sites from around the globe as if you were there, from the northern lights in Greenland to the view over Paris from the Eiffel Tower. However, a view of Paris like this one and experiencing the city for yourself in person are two very different things. 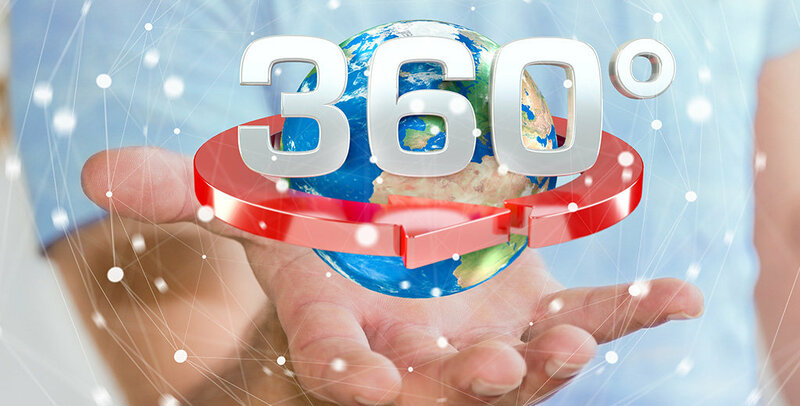 So, you’ll probably agree that, as remarkable as the possibilities are with 360° technology, there are some things you can never fully experience remotely. Our vehicles are one of those things.